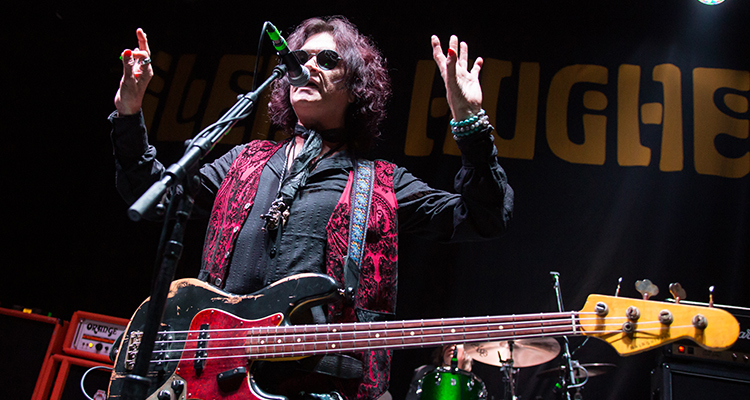 With Resonate, Glenn Hughes said he’d give his fans a solo album of Heavy Rock and he meant what he said. Eight years since the release of his last solo album, ex-Trapeze, Deep Purple Mk III and Black Sabbath rock icon, Glenn Hughes, is back with his 13th solo studio album, Resonate, an album that Hughes promised would be “a rock album for rock fans and it’s â€¦ heavy.” Along with older rock fans, a new generation has come to know Hughes through his work with Black Country Communion, alongside Joe Bonamassa and Jason Bonham, and with the latter in California Breed. Hughes’ last solo album was more funk and soul-influenced than heavy rock, but his worldwide sell-out tours of 2015 showed that Hughes, with a career spanning almost fifty years, is still in form as “the Voice of Rock”, and expectation is running high for the new release. Hughes’ album features his touring band, Soren Andersen (guitars and co-producer), Pontus Engborg (drums), newcomer “Lachy” Doley (keyboards), and guest drummer Chad Smith of the Red Hot Chili Peppers. From the moment the opening track “Heavy” kicks in, you know Hughes has been true to his word. Glenn is clearly taking no prisoners as you’re immediately grabbed by the simple, but heavy, beats of the intro affirming this album is definitely “rock” with a capital “R”. His signature, punchy bass work, plus his deep, soulful vocals, and hint of funkiness hits you right between the eyes, getting you moving to the strong melody and groove. The track â€” driven by Chad’s decisive and powerful drumming â€” sets the bar high for the rest of the album, leaving you hopeful that Pontus Engborg will be able to match it. The song is triumphal, Hughes’ soaring, passionate vocals, vocal range and gymnastics leave us no doubt; age has not dulled the man’s voice. If anything, it’s improved. An even heavier, darker, and brooding bass intro and riff, bordering on metal, gets you wondering if you’ve somehow skipped onto a different album with “Flow”. A surprise to this track is the unexpected Beatles-esque mellotron mid-section which then evolves into psychedelic guitar and bass lines, giving it an intoxicating mix of heavy rock with influences of blues soul, funk, and even late 60s pop. The number has all the ingredients of a great live track that should get the crowds headbanging. 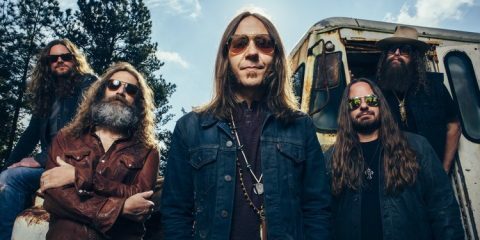 The album continues its heavy rock theme with “Let It Shine” and its fuzz effect guitar intro and pounding, rumbling bass riff uplifted by the melodic, soul-infused rock vocals, and insanely catchy chorus. With an impressive vintage Hammond organ opening solo to “Steady”, Lachy transports the listener back to the defining sound of Jon Lord and Deep Purple MkIII. This track could easily be from Deep Purple’s Burn era with its deep, tasty bass riffs and counter melodies intertwined with the 70s screaming guitar work and keyboards, and Hughes’ soulful vocals exploring light and shade.  Once again, a novel twist is the Beatles-esque mellotron mid-song section, reminiscent of “Lucy In The Sky”. Halfway through the album, both “God Of Money” and “How Long” pay homage to Deep Purple, with a subtle Led Zeppelin influence. 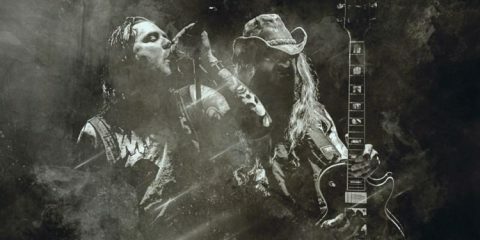 The first is heavier, darker, and more brooding than the latter; the anger of the lyrics is powerfully expressed in both Hughes’ vocals and range. The remarkable keyboard solos would be worthy of Jon Lord and Hughes’ performance on bass is indicative of a veteran with decades of experience. After so many up-tempo tracks, the sublime and tender 70s-sounding ballad “When I Fall” is perfect to slow the heart rate. Its ethereal quality and the smooth tones of Hughes’ voice are enough to give goosebumps and send shivers down the spine. The track beautifully showcases Hughes’ stunning vocal range and tone; its delivery is soulful and heartfelt, yet so powerful. Just as the listener is lulled into total relaxation, the album launches into a funky groove with “Landmines”. With an intro reminiscent of The Doobie Brothers meets the funk of the Red Hot Chilli Peppers, this is rock n’ soul with funky bass. Again, Hughes introduces a twist with the use of a guitar talk box to give the track an even funkier sound. It’s an upbeat song with a feel-good factor, making you want to move and tap your toes to the rhythm. The album’s penultimate track “Stumble & Go” has an upbeat intro which immediately sounds familiar. The chord phrasing is similar to Neil Young’s “Rockin’ In The Free World”, which makes you feel you already know it and immediately gets you bouncing and singing along as it breaks into an atmospheric guitar solo harking back to Blackmore. An acoustic guitar intro, accompanied by just the beautiful timbre of Hughes’ vocals which shine through, takes the album into its closing track, “Long Time Gone”. The song builds up to a peak with Chad Smith once again holding the rock solid beat behind the drums. The passion of Hughes and Smith playing together clearly comes across as Hughes gives the song everything he has. The thrilling and spectacular groove has all the Hughes hallmarks – melody, stunning bass work, the revered vocal range and vocal runs and a funky midsection, recalling his Trapeze days, with some fantastic, triumphant keyboard playing. This is the perfect song, perfectly delivered; there can surely be no better way to close a solid rock album of such calibre. The only downside is the feeling of sudden loss the end of the album brings such that, without even thinking about it, you find yourself hitting the replay button â€“ again and again! Resonate is a commercial, cohesive album; the tracks flow effortlessly from one to the next, breaking new ground yet while still rock at its core as Hughes promised. His ability to blend in elements of soul and funk keep the music fresh and never predictable, which gives the album an up-to-date feel, even though it borrows from musical influences of the 60s and 70s. Hughes clearly has an immense passion for writing, playing and singing and this joy emanates from every track of this album. 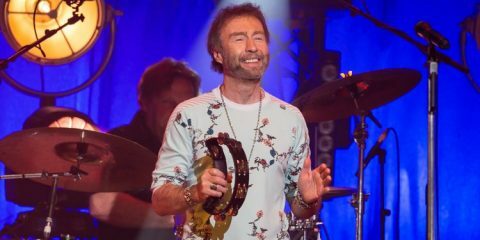 He seems to have found himself at a new pinnacle of his career, even in his mid-60s, reconfirming his status as an iconic figure of rock, still at the top of his game. With his harder edge rock vocals, rediscovered whilst with Black Country Communion and California Breed, he confirms his place as “The Voice of Rock”. 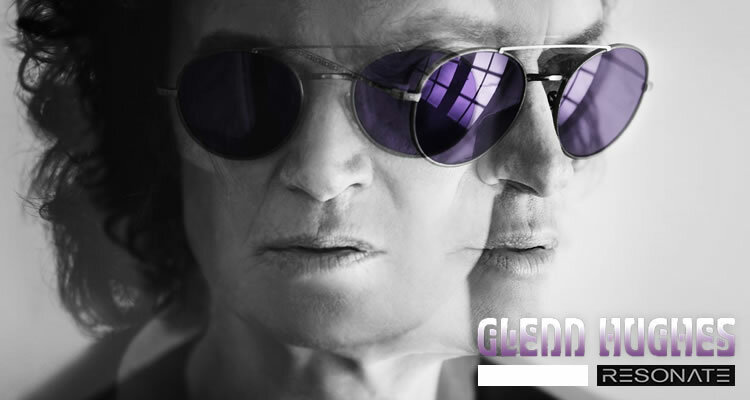 The album cover features a photo of Glenn Hughes wearing purple shades, perhaps a nod to the shades of Deep Purple in this album. The dictionary tells us “resonate” is “to have particular meaning or importance for someone: to affect or appeal to someone in a personal or emotional way”. The album lives up to its name in that respect. Not only will this album resonate with rock fans, particularly the older fans that have followed Hughes on his journey through his musical career, it does so with Hughes himself. 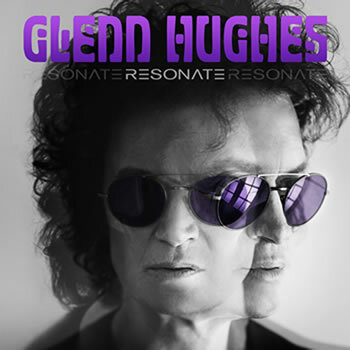 He describes Resonate as “…the first kind of a complete Glenn Hughes album”. It does seem that this is his retrospective album, the heart and soul of Glenn Hughes, a beautifully-packaged history of his musical career and discography. The tracks seem to tell a story of Hughes’ musical career from Trapeze to date, a celebration of the highs and lows of his life, the good times and the bad. 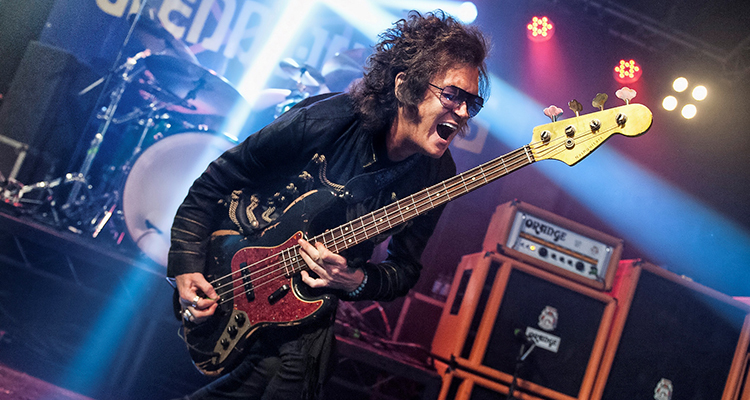 Since the overall feel of the album is positive and upbeat, ending on a triumphant track, it looks as if Glenn Hughes is satisfied with his life, especially with such a masterpiece of a rock album and a top contender for Album of the Year. This could well be the breakthrough album to open him up to the mainstream as a solo artist. Resonate will be released on November 04 through Frontiers Music and can be pre-ordered now. Vinyl release will be made available via the Frontiers’ label partners Soulfood Music.